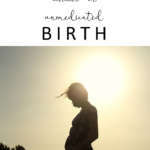 It is so helpful to receive tips for a natural birth when you are completely in the dark as to what to expect and how you’ll cope. 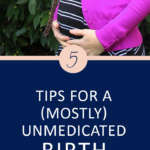 Today I am going to share with you 5 unmedicated birth tips. I am absolutely not an expert, but these are drawn from my own personal experience and worked really well. 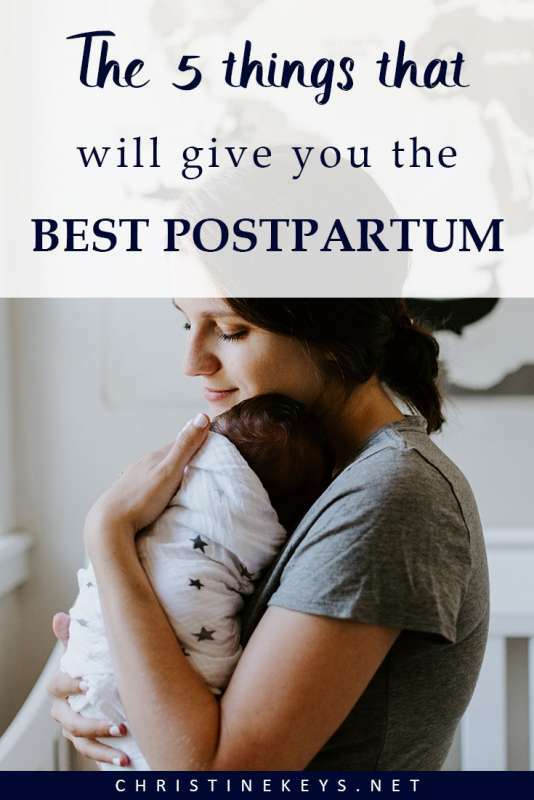 These tips are not fool-proof “you will not need medication” but I believe the can help you to avoid it, and make labor more bearable regardless. I also need to disclose that I am not anti-medicine AT ALL! I absolutely believe that it has its place. 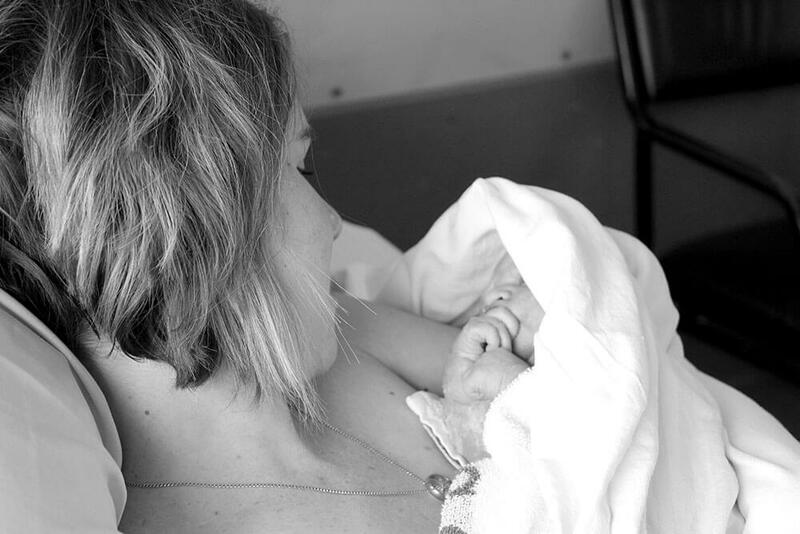 My mother had to have c-sections with all four of us kids, and I’m so grateful that that option was available, or none of us would be here today. 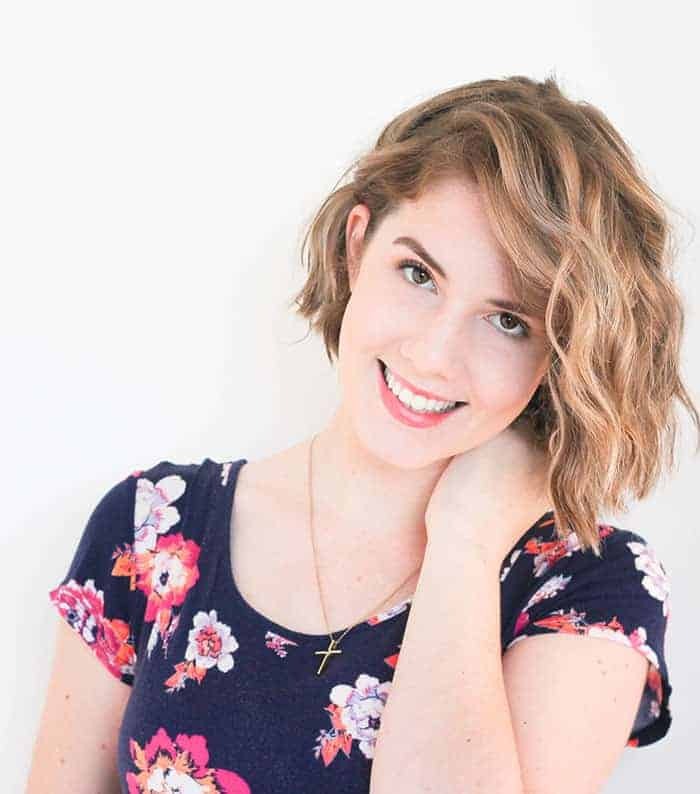 For me, I wanted to try and avoid medication only because I knew that one often leads to another, and things can escalate. 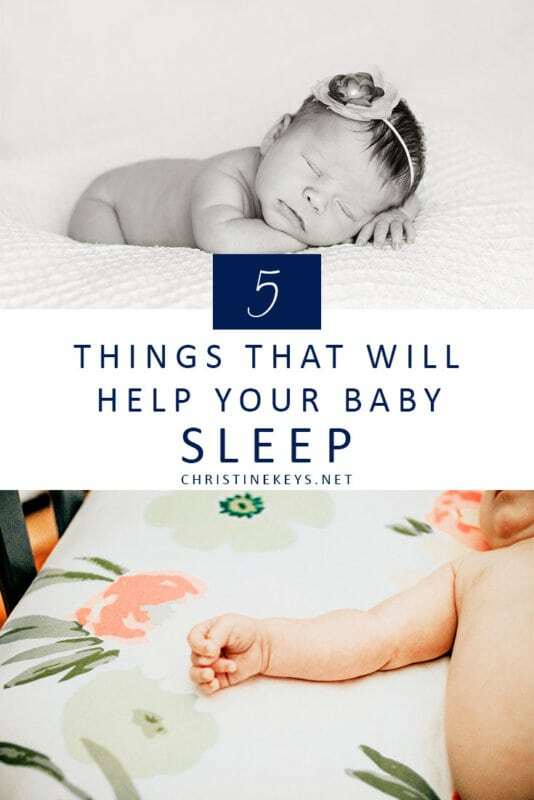 In reality, these tips will help all laboring mamas. They are not specific to just an unmedicated birth, but labor in general. They are what really helped me with my 3 labors and I’m hoping they’ll help you too! I know there are many who do this, but I think there are equally as many who are afraid of what childbirth might bring, and therefore kind of ignore it. I get it. However, there’s a lot to be said for the power of knowledge. 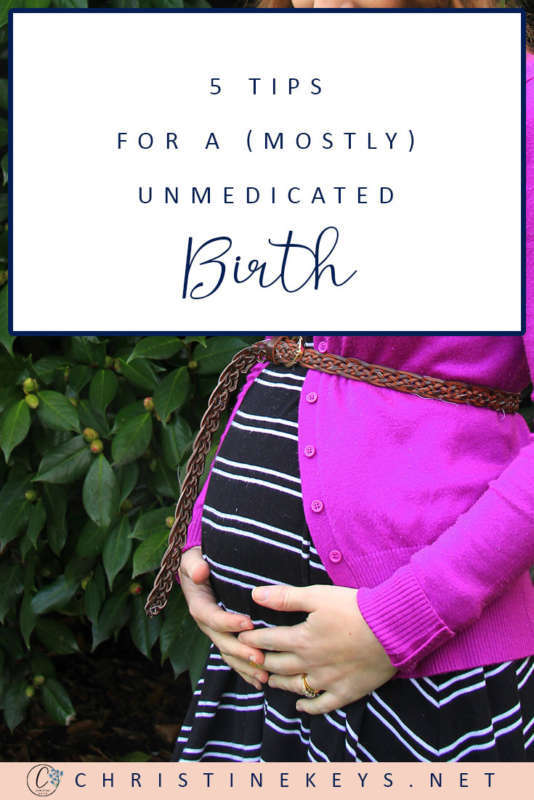 If you want to try for an unmedicated birth, then it’s important to understand what can be helpful in achieving one. Regardless, do some research, but then lay off. Too much knowledge can be equally as stressful as too little. 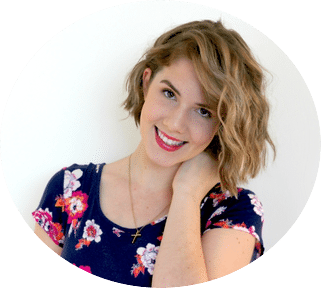 One helpful way to get great knowledge without being overwhelmed is to take a birth prep class. This one here is amazing and so full of value! Plus, you can do it from the comfort of your own home which makes it super convenient. You can check out Birth Prep HERE. 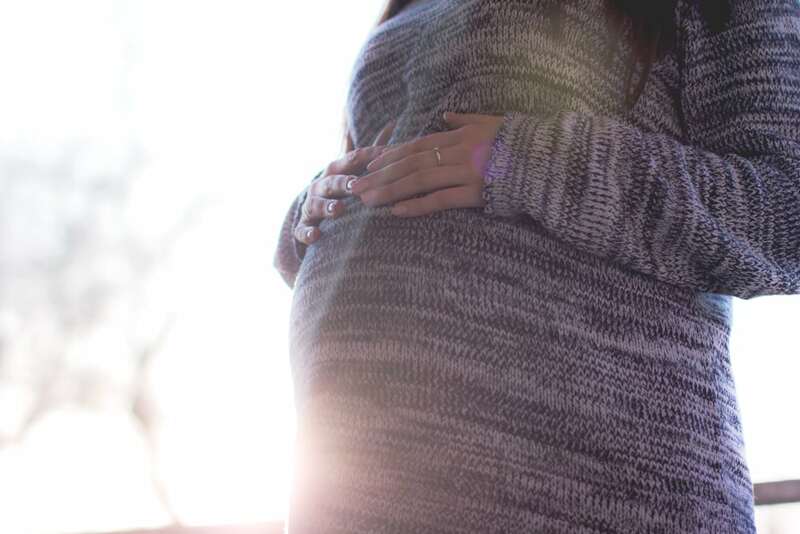 Understand what can help with achieving an unmedicated labor, but also value the fact that the body does what the body does. You can prepare all you want for labor, but some things are just out of your hands and that’s OK.
Don’t just research natural childbirth, but research the actual labor process. I know that it helped me to know what to expect and took away much of the fear. One of the BEST things that you can do during your labor, is to move. 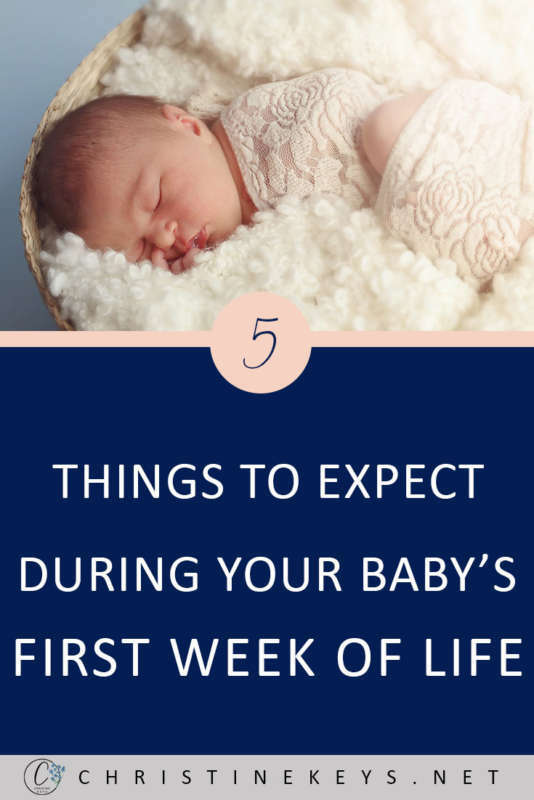 That is…until you can’t anymore, but by that point, your baby is probably crowning. Gravity is your best friend, especially during early labour. Get up, and move. If you get tired, then use an exercise ball to sit on. I used one like this both during my pregnancy and for both of my labors. I was able to sit and bounce in between contractions and also lean over it with my knees on the floor. Both helped to get my babies into the ideal position for birth. Just a word of warning. Absolutely stay mobile for as long as possible, but also be careful not to overdo it. Use common sense and don’t exhaust yourself before the ‘race‘ has even begun. Labor really is a marathon, not a sprint. I’m gonna stick my hand up here and say that I happily and willingly delivered all three of my babies at a hospital. I’m not anti-hospital, but I’m also not anti-homebirth. Why I suggest laboring at home is because there’s more room to move and be comfy. With my first, I put off going to the hospital as long as possible. It was only 2 minutes away from our home, so I wasn’t worried about getting there in time. We only left for the hospital when I felt like I was beginning to lose control a bit. By the time I got to the hospital, I only had time for a bit of gas & air before my son made his appearance. With my daughter we left a bit earlier, but only because my son came very quickly and there was a very real possibility that my second labor could (and did!) progress a lot faster. 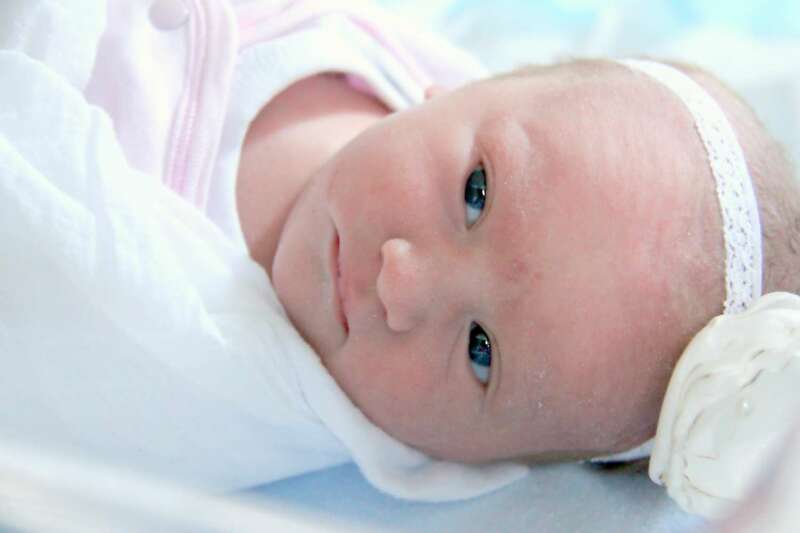 My third was the fastest of all and she was born around 30 minutes after we arrived. When you’re laboring at home, you only have so many medications available to you. 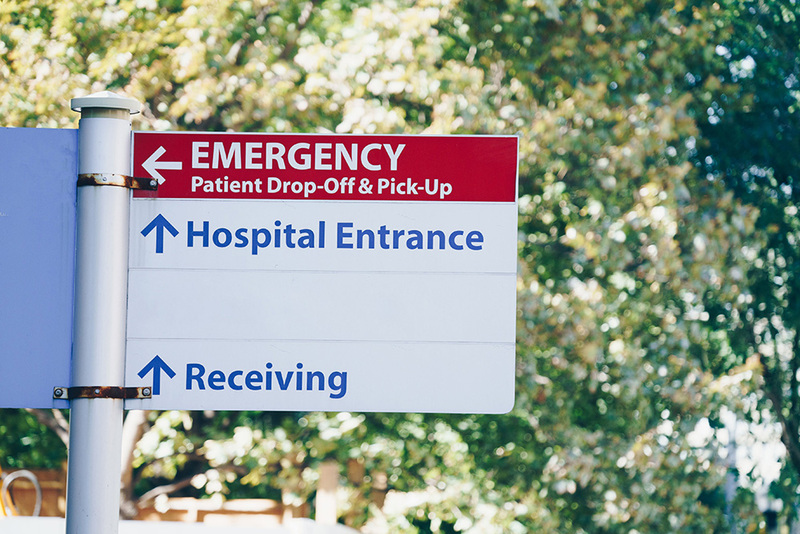 Once you arrive at the hospital, there are quite a few more options. One of the best tips for a natural birth is to trust your body and give it time to do it’s job. This was a gem of advice that I got from Elle (The Lindquists). Instead of looking ahead and thinking about all the contractions you still have to go through, count how many breaths it takes to get through one contraction. This SAVED me! It honestly helps so much. Time went fast when I was doing this and it was easier to keep a positive mindset. 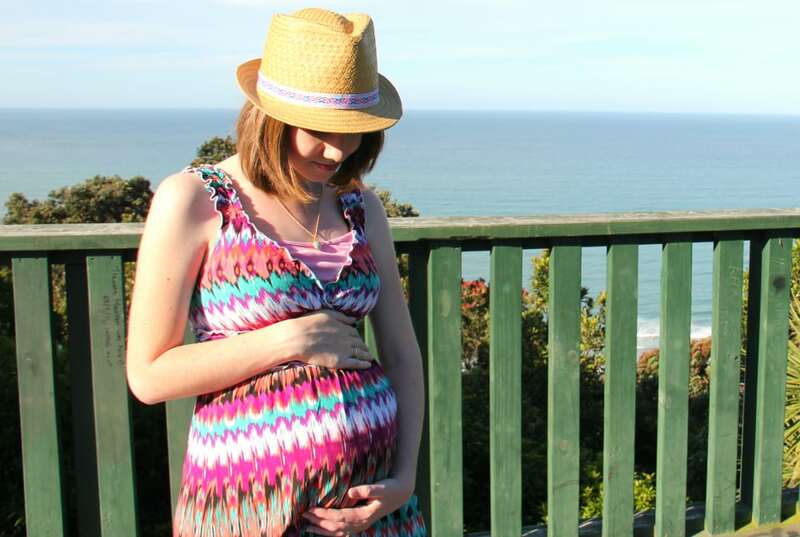 One other piece of advice is to focus on relaxing your body when you’re going through a contraction. This is easier said than done (I KNOW! ), but it really does help. You’ll be amazed how tight and sore your upper body is after labor because you were tensing it up so much. An easy way to help relax your body is to make sure your fists aren’t clenched. It’s amazing how tense you get when your fists are clenched. Keep them relaxed and it will help keep the rest of you relaxed too. When you feel like you’re dying and can’t do it anymore, take heart, because you’re probably closing in on the finish line! 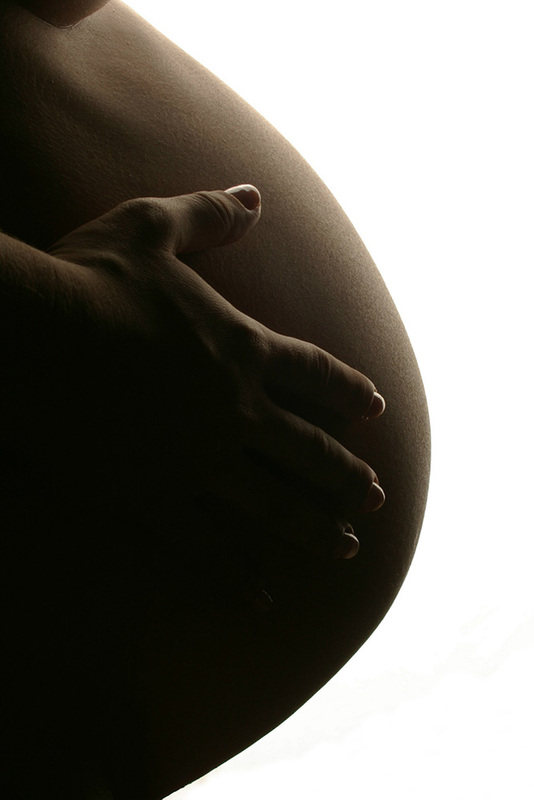 Related: These 3 Intense Signs Can Mean Your Baby is Almost Here! This tip is more for during your active labor and transition stage when your mobility becomes somewhat limited. With my first, I never got time to get into the birthing pool, but my second and third labor and delivery both took place in the water. With all of the births, however, I was in ‘my’ comfortable position. For me, that was on my knees with my torso supported. The first time around I had the head of the bed lifted so I could lean over that, and with my second and third I was leaning over the side of the pool. This position gave me support so I could rest, but also allowed gravity to do its work. Let’s be real here for a second though. When I say your ‘comfortable position’, what I really mean is the position that is bearable for you because, in all honesty, most positions were utterly UN-bearable for me to be in. 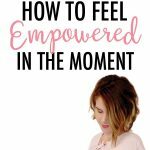 These tips are based on my personal experience, and what helped me. Please remember that I’m not you. Our bodies are all wired so differently, and ultimately a positive birth experience outweighs an unmedicated one any day. 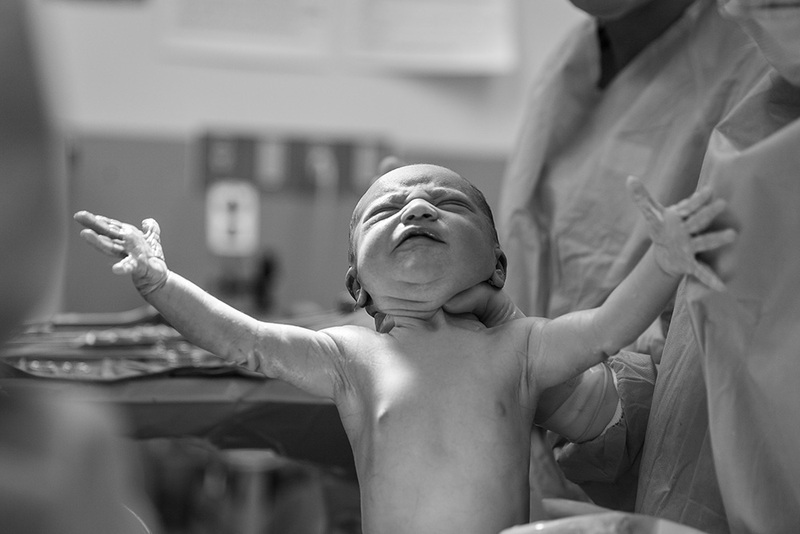 I remember giving birth feeling like an outer-body experience. I couldn’t believe that I had brought another person into the world. Mama, please note that no matter how your baby ends up making their entrance, you are a superstar. You’ve given so much to get your precious child here and you are a wonderful mother because of it.